Members are the lifeblood of GSHA! We value member input and engagement and diversity when building our volunteer base to better serve and represent our community of speech-language pathologists and audiologists. Volunteering on a GSHA committee requires a commitment to the assigned project or activity. We are always seeking new talent to add to our committees. 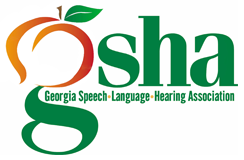 To participate on a GSHA Committee, you must be a member. If you're interested in joining a committee, please contact the committee chair and fill out the form below. If you are already a member, click here to complete our Committee Volunteer Form. If you are not a member, we hope you will join us and get involved. Click here to find out more about membership.